Solid storage wooden cupboard in Nordic design of 150 cm. 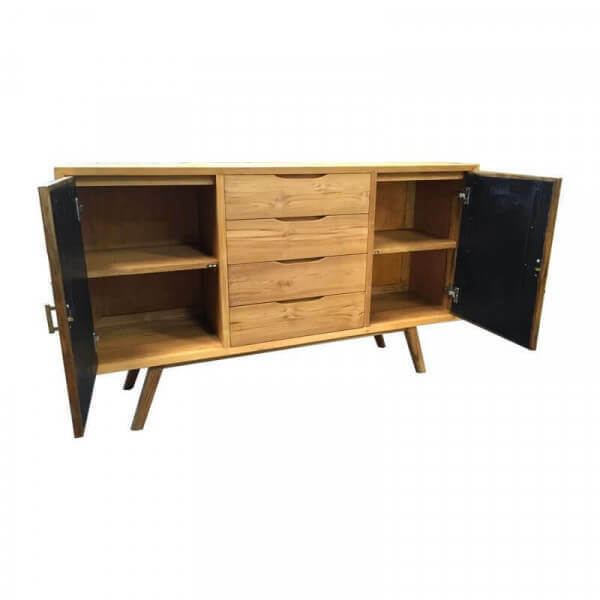 This furniture offers a large storage space with two sliding doors and four drawers. With a robust quality and striking, origial style, this solid teak collection called "wood" brings timeless beauty to any interior. Combine classic and modern Nordic styles has never been easier than with this selection of buffets and TV units made of solid wood.